On 4 February 1915, Germany declared a war zone around Britain in which any shipping – military or civilian – would be sunk on sight. During the early stages of the war, U-boats followed 'prize rules'. They would surface before attacking merchant ships, carry out formal searches of the cargo and allow time for passengers and crew to escape before the ship was sunk. 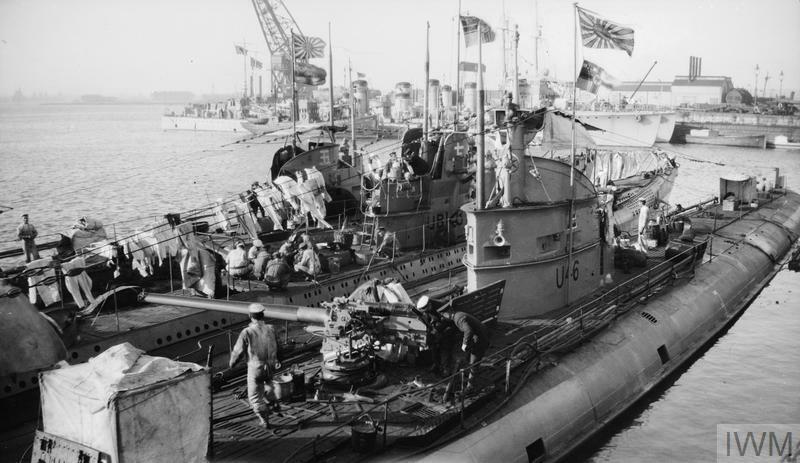 Germany eventually abandoned prize rules and began its campaign of unrestricted submarine warfare, partially due to the British introduction of 'Q-Ships' – warships disguised as merchant ships. The Lusitania was launched on 7 June 1906. It had been specially built to be easily converted to a warship and was registered with the British Admiralty as an armed auxiliary cruiser. Following the outbreak of the First World War, it continued to operate as a passenger liner despite being used to carry British war materiel. The sinking of RMS Lusitania caused international outrage and helped turn public opinion against Germany, particularly in the then-neutral United States. Of the 1,200 people killed, 128 were American citizens. But the incident did not immediately bring the United States into the war. Instead, the American government issued a severe protest to Germany. Following immense pressure from the US and recognising the limited effectiveness of the policy, Germany abandoned unrestricted submarine warfare in September 1915. A British propaganda poster portraying the sinking of the Lusitania as an act of German barbarism. The Lusitania became a focus for British and American propaganda and was used to bolster recruitment efforts. However, Germany claimed that the sinking was justified because munitions were being carried on board. In the days prior to the Lusitania's final voyage, the German embassy had also published warnings in American newspapers stating the dangers and risks of travelling through the war zone. Germany resumed its campaign of unrestricted submarine warfare in February 1917 after failing to take control of the sea at the Battle of Jutland the previous year. This, along with the interception of the Zimmerman telegram, brought the US into war against Germany on 6 April 1917.